SHYAMALI ROY HAUTH, trained in Pankaj Das style from 1977 to 1980 under the guru of gurus, Padmashree Pankaj Charan Das, in Puri, India. GARGY BANERJEE, a member of Urvasi since 1994, is well known in her home country, Canada. FRANK PETTY, began Orissi as an Evergreen student years ago, but has become an integral part of Urvasi. SCHEHERAZAAD COOPER, has been away to Queen's College in Ontario, Canada, working on her undergraduate degree. JAMIE LYNN COLLEY, currently teaches Orissi as adjunct faculty at The Evergreen State College. FRANK CASEY, has been on haitus while working on his Masters Degree, but is returning to Urvasi soon. SITARA THOBANI, performed her Orissi Ranga Pravesh in Vancouver, B.C., August of last year (2005). 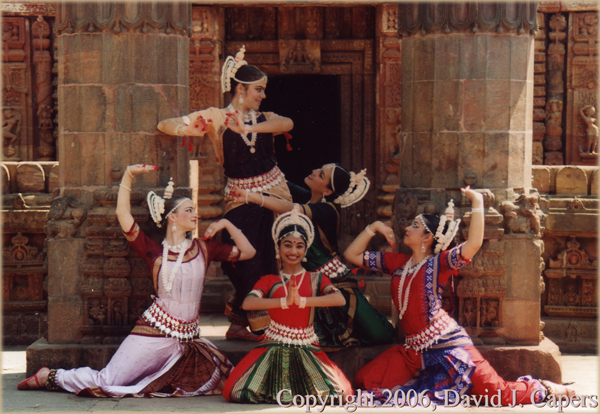 AIMEE MACHIELS, recently returned from Orissa, India. RUTH NELSON-MOORE, is still in India, but returning soon.